Dark, light and medium color travertine tiles mixed with 2″x2″ hand cut brown & iridescent glass tiles. Brown glass travertine mix backsplash tile subway travertine mosaic layout for the traditional kitchen. Each 2×2 glass insert is hand cut comes with the uneven surface, some cracked corners & lines that give old effect. Brown glass travertine backsplash tile design and made in the USA. 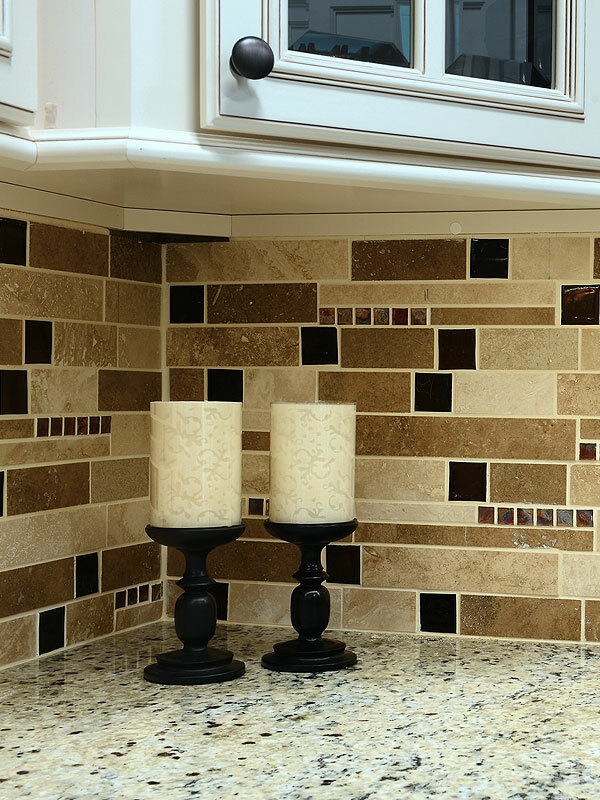 We can customize brown glass travertine mix backsplash tile make with only one color or change glass tile colors.